UPDATED!!! You may notice that Psiphon might not connect, but don't worry, you can still use it on some of your apps and browsers, except Facebook app, Messenger, Instagram, SnapChat. These are the apps that i confirmed this plan didn't powered. You can use this plan on Playstore, Whatsapp, YouTube, Chrome, Opera, Uc web etc. Airtel has just launched a new plan called YouTube Flex; this plan is offering you 500MB and 150MB worth of data for one month and one week validity respectively, and only usable on YouTube website / app. This plan is designed specifically for streaming YouTube videos only, and that's why it's been called Airtel YouTube Flex. Flex YouTube videos till you get tired. The data won't work on any other apps except YouTube app or the website. But wait, that's not all. There's a good news about this plan. You want to hear the good news? Alright, read on. 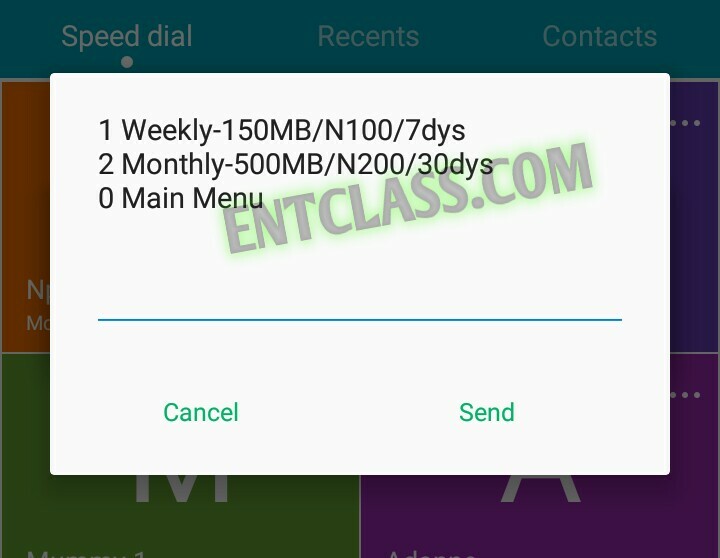 Do you know that you can use this plan on all of your apps on Android using Psiphon VPN? Ofcourse yes! I will provide you guys with the settings for this to work. 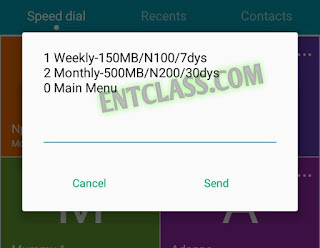 You can now use Airtel YouTube Flex to chat on Whatsapp, download, browse Facebook, and also browse other sites like Entclass.com.ng; interesting right? 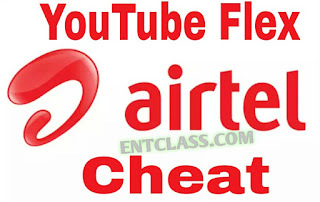 Without much talks, let me show you how to activate Airtel YouTube flex and also teach you how to use it on all of your apps on your Android phone. Kindly follow me along as i reveal the settings to you. >> Select "1" for the weekly plan Or Select "2" for the monthly plan as you can see from the screenshot below. After that, you can start streaming YouTube videos as you wish; but i suggest you use this data for browsing and chatting as well as downloading some important apps. I will show you how to use this data on all of your apps using Psiphon 91 VPN. First of all, download Psiphon 91 handler VPN app from Here (if you don't have it Installed on your device yet). Navigate to Options and select United states as your region. On that same screen, tap on More Options and untick every boxes that is ticked; and then, go back and tap on Start. It will connect within 10 seconds. For me, i am using this plan on some of my apps without powering them with Psiphon vpn. You can as well try to browse and see if yours will work on all apps without using Psiphon VPN. I don't think this plan will be blocked anytime soon, as it's an official plan from Airtel. So, enjoy while it last. This is what I call value for money data. If you have any questions or confused about this post, please use the comment box, and don't forget to Share this post using the Share buttons below. Download our official Android app on Playstore, so that you will always be the first to get notified of new free browsing cheats posted on this blog. DOWNLOAD HERE. It's the 500mb that will still be used up. Good information. Make I jejely. Comot eye. He no worth am. Thanks anyway. See the full list of Airtel data plans and prices Here. The link for the PSiphon is not loading kachi. Can the data be accumulated? Yes, by re-subscribing to the plan. After exhausting? or i can re-subscribe before exhausting it? You can try that and see if it's going to work. kachi help me out i'm using symbian phone nokia N8.i like this airtel plan just like yo said it is called money 4data value. If you can stream YouTube on that phone, then subscribe for the plan. lso want to be using it on other apps like whatsapp opera and facebook...is it possible? Not possible on that phone. Once you exhaust the data, it won't connect again. at kachi how is it unlimited??? It's not unlimited. I stated the data capacity in the post above. Please read it carefully again. My name is fosc, keep up the good work, have been trying to download the psiphon but to no avail, pls I need guidelines on how to go about it.